The motorcycle series "Ninja" is a series which manufactured and sold by major Japanese motorcycle manufacturer, "Kawasaki Heavy Industries". It is popular worldwide, and since its launched in 1984, Kawasaki Heavy Industries has gathered the technologies and knowledge to evolve this NINJA series whenever remodeling was executed. Among the many models, today we will introduce about "Ninja H2" and "Ninja H2 CARBON", which are also said to be the flagship models, and the "Ninja H2R", which is not possible to be ridden on highway and only is produced once order received. 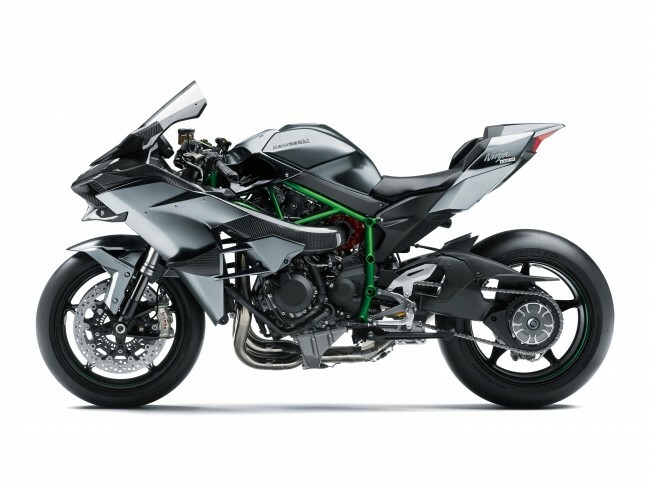 1st characteristic of "Ninja H2" and "Ninja H2 CARBON": "Intense acceleration force"
The feature of the flagship model, "Ninja H2" and "Ninja H2 CARBON" which were released in August 2018 is that the bike is equipped with a supercharged engine that attached with its own company’s supercharger. It is characterized by its strong acceleration power and excellent fuel efficiency. In addition, the front brake has adopted the latest and highest grade model of "Stylema" which is made by Italy manufacturer, Brembo, and has achieved a great size and weight reduction. 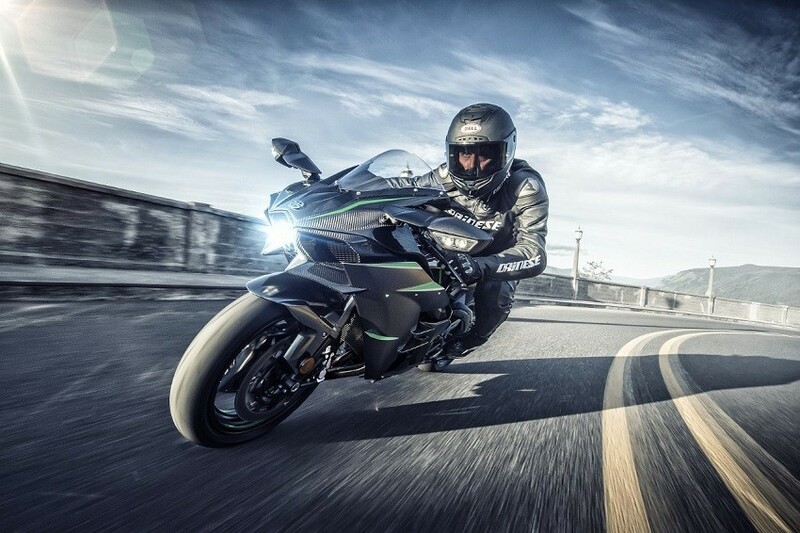 2nd Characteristic of “Ninja H2" and "Ninja H2 CARBON": "Smartphone connection function"
The next feature which attract attention is the smartphone connection function. The bike is equipped with a Bluetooth connection function and can be connected to your smartphone. If you use the dedicated smartphone application, “RIDEOLOGY THE APP”, you can even check the vehicle information and traveling routes by using your smartphone, and display calls and emails of your smartphone on the LCD screen of the instrument panel. 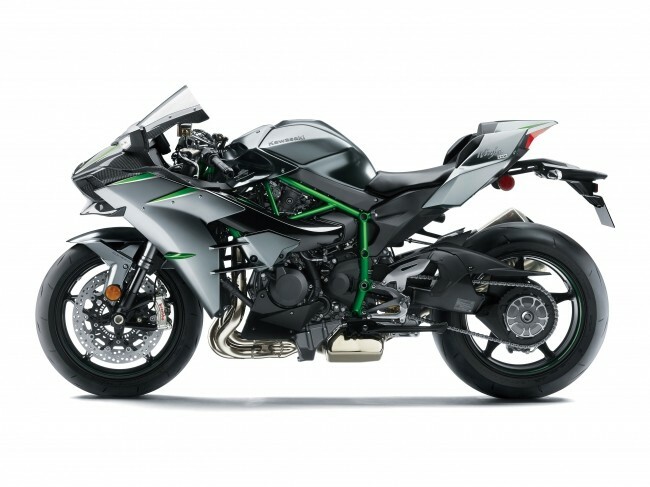 3rd characteristic of "Ninja H2" and "Ninja H2 CARBON": "Special coating which has scratches self-repairing feature"
In addition, "highly durable paint", a special coating paint to self-repairing scratch is coated on the body of this series. Besides, LED are used at all number plate light, headlights, taillights, and direction indicator blinkers, etc. 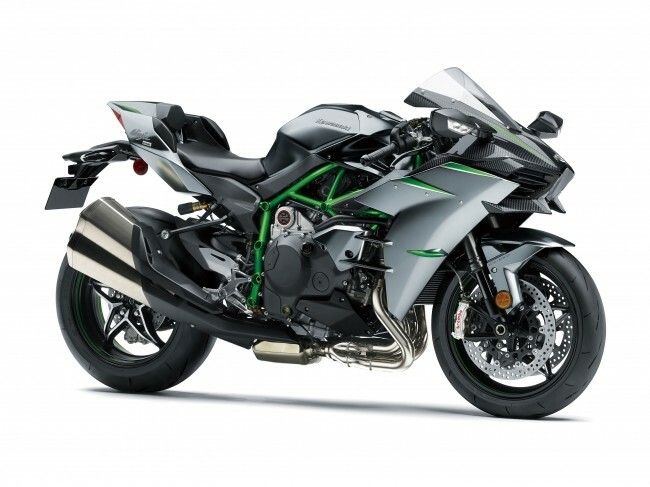 "Ninja H2R" cannot be ridden on public roads. It is a special dedicated model which only can be ridden at a closed course! The next introduced model, “Ninja H2R,” is a closed-course model which was developed without any restrictions of laws and regulations for running on public roads, and is specially developed for races. This is a dream model of Ninja’s fans, and its premium feeling has become a hot topic. 1st Craftsmanship of "Ninja H2R": "It is not assembled in a line production but is assembled by a skilled worker!" Usually, two wheels vehicles are assembled in a line production, but this model is assembled one unit by one unit, by only one skilled worker or a small group of skilled workers from the beginning to the end of assembling process. Also, the coating is also special. It embodies Kawasaki's craftsmanship, which emphasizes functional beauty, and also is the industry's first silver mirror paint. 2nd Craftsmanship of "Ninja H2R": "Adoption of aerospace technology!" This model is characterized by a high acceleration of 300ps, which provides a maximum speed of 300km/hr. In order to prevent the front wheel from floating due to the ultra-high-speed driving specification, a large carbon wing which developed by aerodynamic technologies of Kawasaki Heavy Industries' aerospace business have been equipped to the bike. 3rd Craftsmanship of "Ninja H2R": "Engine was designed by motorcycle designer from zero base!" 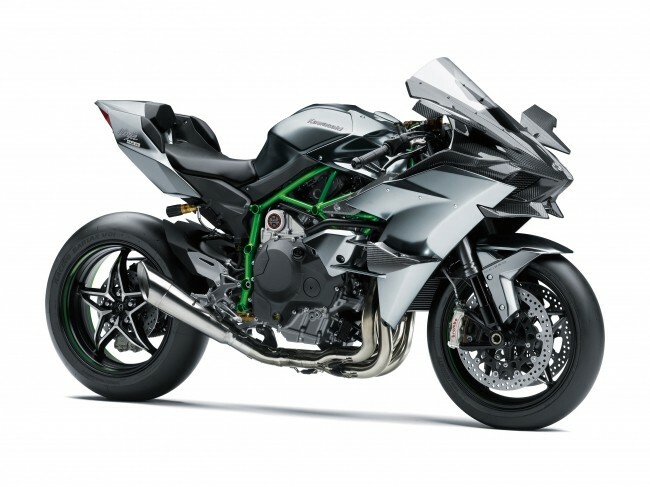 The engine was designed by two wheels engine designers from zero, the scratch and all the designs based on gas turbine technology for Ninja H2R. The engine is compact in size, however it achieves acceleration performance of different level with the power of 300 pss. ※ The price does not include insurance, taxes (consumption tax is excluded), and registration expenses, etc. At “Kawasaki World”, the corporate museum of Hyogo Prefecture exhibit various generations of bike besides Ninja series. Please visit here at least once if there is an opportunity!